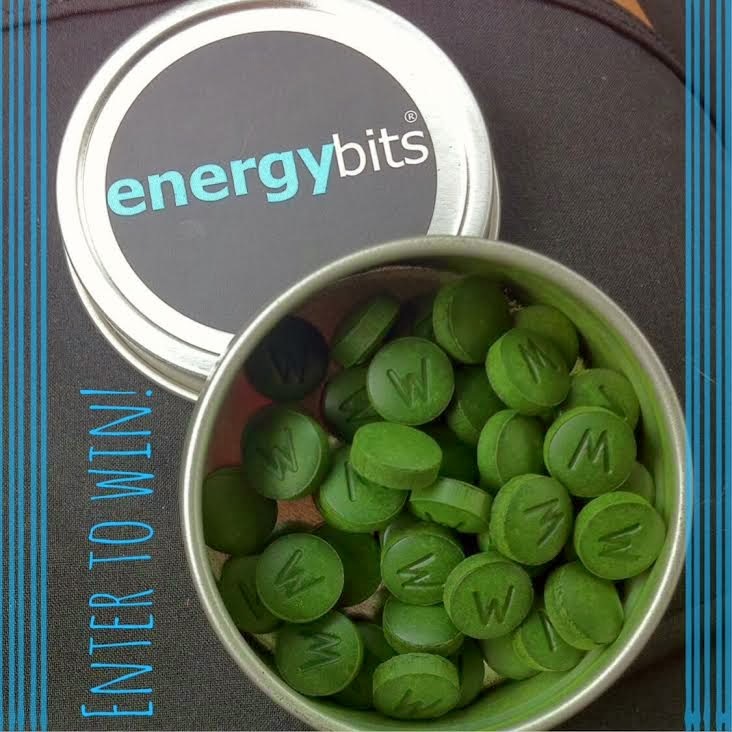 The AWESOME Brand Manager over at ENERGYbits, Jonathan, contacted me at the end of last week and offered to supply another ENERGYbits sample for a GIVEAWAY!! HOW SUPER-TASTIC is that?! He said that they love my enthusiasm and support and wanted to offer my readers another chance to win a sample of their fuel! In case you missed my original review - you should check it out here. For best results, swallow at least 30 ENERGYbits® (or more) before any workout, run, game or intense physical or mental activity. They will improve your energy and endurance. Also take whenever you are tired, hungry or don't have time to eat or cook. They are a terrific high protein, low calorie snack or meal on the go. Remember, they're "bits" of food (not pills). And if you haven't tried them before - NOW IS YOUR CHANCE! 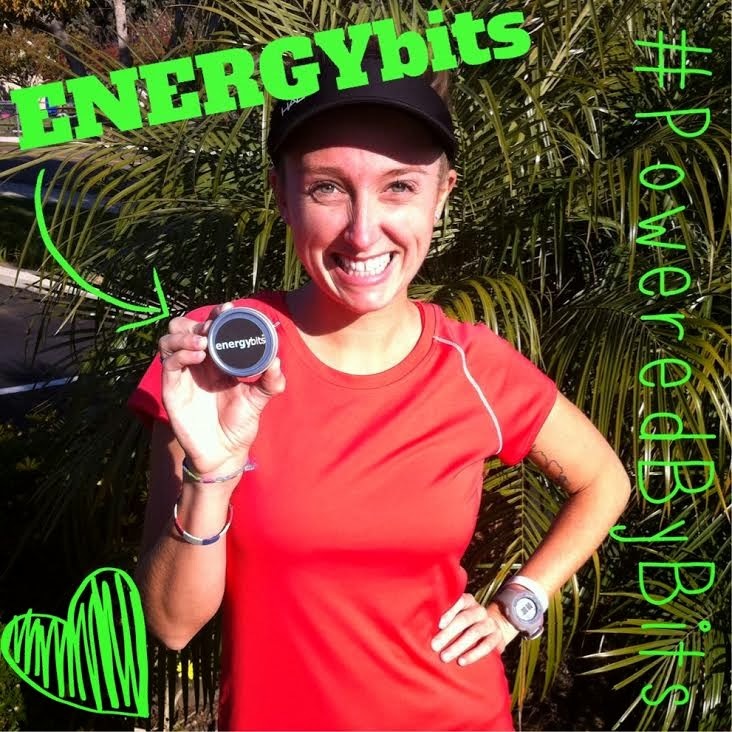 You can enter to win your own sample so that you too can be #PoweredByBits!! Enter NOW and enter DAILY!! I have tried ENERGYBits before and really enjoyed them! I fuel with whole grains before I run. I've heard of ENERGYbits before but never tried. Your post makes me want to get some stat! These seem to be just what I need when I am doing my long runs!! Oh I am very interested in seeing how these fuel me. I currently use chews but have been hearing more and more about energybits and have been looking to try them! Yes, I've tried energybits before and I LOVE them! Currently I either use bits or Pocket Fuel. I have tried Energybits and they are going to power me through my marathon training! ENERGYbits are awesome! Especially if you're like me and become STARVING on a long run! If you decide to order them, I have a code on my blog for 30% off. Go bits! I love energyBits they are AWESOME! I usually eat part of a granola bar. I'd love to try energy bits! I'm currently trying new things for fuel. too many choices out there! I have not tried energy bits, but keep seeing lots of positive posts. Never tried them before. I usually eat an energy bar. Love energybits!! I use them for my short runs! I haven't try them yet! But I would love too. I haven't tried them yet! Pre workout I eat something light like a banana with peanut butter. I have never used energybits. currently, I make a green smoothie before runs. I have tried ENERGYbits in the past and loved them. I also use Maca powder in my smoothies for an added boost. I tried energy bit's once before, but i don't think i tried them long enough to notice a difference. I love that they are made with great ingredients. I typically don't eat anything before I run, but do post run fueling instead. Before longer miles I might do an organic gel real fast. i have always wanted to try these! With my travel and crazy long days, I think these would be the perfect thing to throw in my bag and keep me going on those long days! I have recently started using ENERGYBits before my runs and really enjoy it. I'm considering starting to use them during my runs too. I have never tried ENERGYBits before but am currently looking for something to fuel my workout and would love to try them. I do not currently take anything pre-workout. Mostly just focused on balanced eating. I have never tried these before. I usually have a banana and PB before a workout. I currently use Bloks, but I have tried Energybits and like them.